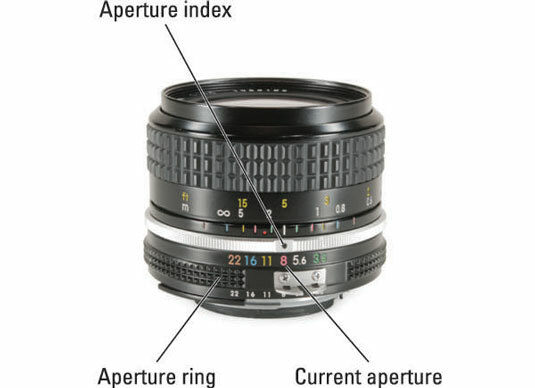 All older lenses (manual focus lenses without a computer chip) have an aperture ring. Turn it to set the aperture. Canon has done away with aperture rings altogether. Nikon, on the other hand, still offers elements of old (aperture ring) and new-school (computer chip) technology in its D-series lenses. To use D-series lenses on new camera bodies, lock the aperture ring on the lens to its highest f-number (smallest aperture), then control the aperture from the camera. Ignore the aperture ring in this configuration. More advanced Nikon dSLR bodies such as the D600 let you enter the focal length and maximum aperture of even older lenses (check your manual for the specific type) into the camera’s menu. These lenses are called non-CPU lenses. Entering the data enables the camera to meter, recognize the aperture set by the lens, and control the flash better. Most modern lenses don’t have aperture rings. Enter your camera’s Manual or Aperture priority modes and dial in the aperture of your choice. Use one of the controls (normally the front or rear dial). Use your camera’s Program Mode and then shift the aperture/shutter speed combination via Program Shift or Flexible Program. If you’re using a more automatic scene or mode, you choose the depth of field you want and the camera selects an appropriate aperture. For example, if you choose Landscape, you’re telling the camera that you want a large depth of field. It’ll stop down accordingly. When you understand why certain scenes call for certain depths of field, you might want to start setting the aperture directly yourself. Some cameras, like the Canon EOS 60D and Nikon D3200, have shooting modes that let you select the amount of background blur you want in the photo. 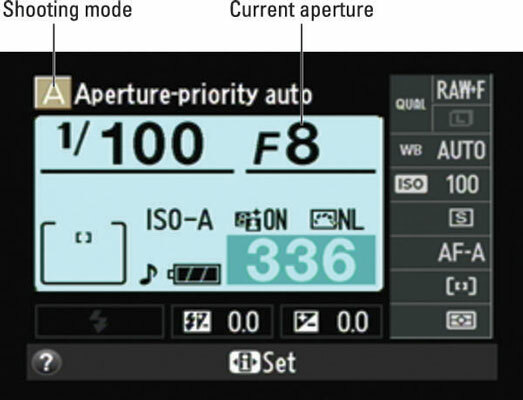 Canon calls its mode Creative Auto, while Nikon uses a shooting mode called Guide. Lenses like those from LensBaby are an exception to these rules. If you’re using its lenses, you change aperture by swapping aperture rings with a special magnetic tool.